Develop the skills and confidence you need to keep buying properties. So you can quit that job you hate and live the life you really want! Most aspiring real estate investors don't have enough of their own money to buy all the properties they want, or need, to live the life they dream of...so they stop buying and they stop dreaming. Develop the skills and confidence you need to keep buying properties! How easily can you master Rapid Cash Program? Sign up now and receive the Home-Study kit sent to your home or office within five business days. Participate in the 2-day LIVE Quick Start training to help you start buying and start using the strategies immediately. Complete your “One Damn Deal” in no time using the training you completed together with the 6-month coaching program. Who is Rapid Cash Program ideal for? 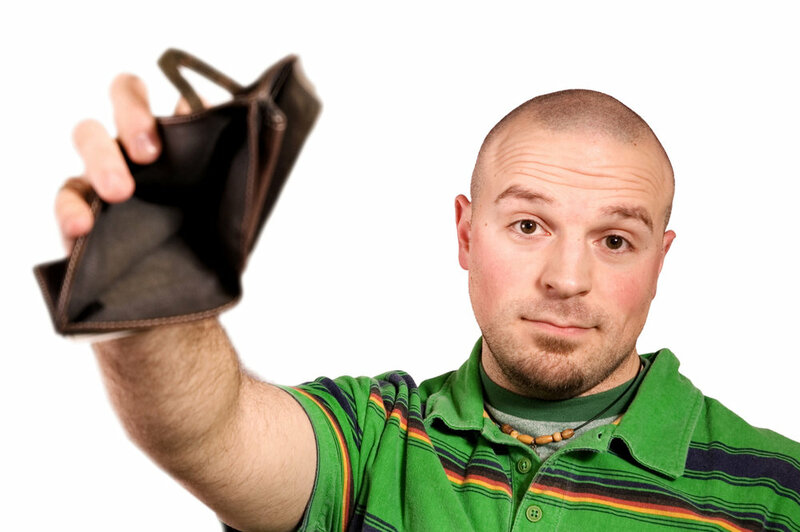 Learn to buy properties with no money down that actually put cash into your jeans. Learn to buy as many properties as you want: use other people's borrowing power. Reach your goals faster. Learn to “quick turn” a property for even faster cash. To get the most out of the Rapid Cash Program, some real estate experience is recommended. What makes Rapid Cash Program so different? Most real estate investors eventually run out of their own money and have to stop buying properties. We created the Rapid Cash Program to help you buy more properties while putting cash into your jeans. Now you can buy as many properties as you want, live however you choose, and contribute more to the causes closest to your heart! At Rapid Cash Program we know that you want to be a confident, successful real estate investor. In order to do that, you need to buy more properties. The problem is you're short on cash, knowledge, and/or a network that can help you succeed. Of course, this makes you feel frustrated, stuck, and wondering if you really have what it takes. We know how difficult it seems from where you're sitting because we're investors, too, and we were once sitting right where you are now. We've seen so many real estate investors with the same struggles you have. We believe everyone should have the freedom to follow their dreams. And we helped many real estate investors do just that. Follow their dreams! Which is why Barry formed the Rapid Cash team and started sharing his forty plus years of experience as a real estate lawyer and investor with people just like you. So go ahead and register for Rapid Cash Program now. 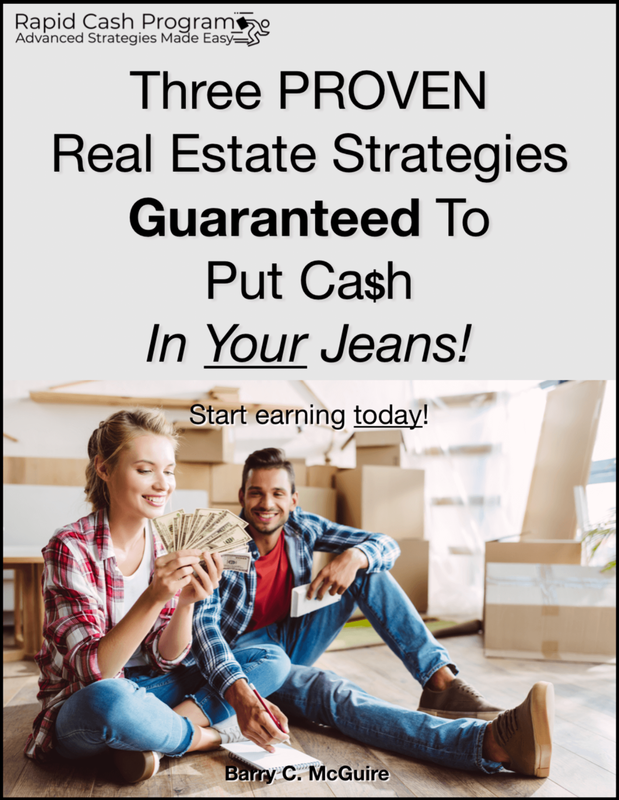 And in the meantime, download our FREE PDF Guide: Three PROVEN Real Estate Strategies Guaranteed To Put Cash In Your Jeans! so you can stop being stuck, and missing opportunites others get to take advantage of. Instead, have the freedom and money you want, while contributing to the causes closest to your heart. Stop being stuck. Develop the skills and confidence you need. Put more cash in your jeans! Click "YES" below to download your FREE PDF Guide. You'll get access to advanced real estate investing strategies you can start using immediately to put cash in your jeans. There are over 30 pages of information jam-packed into this enormously valuable resource. I understand the frustration you feel when trying to buy more properties than your banker thinks you should. When I started investing in real estate, I too faced the "inevitable" cash crunch. That’s why I created the Rapid Cash Program! To help investors just like you - who are out of cash, out of borrowing power, or both - to keep buying properties. As a 40-plus year veteran real estate lawyer and investor in Canadian Real Estate, I have seen more property deals, more investors, and more creative deals than I can shake a stick at. I want to help you buy more properties for less of your own cash, less risk, and less stress, all while putting more cash in your jeans - as they say. 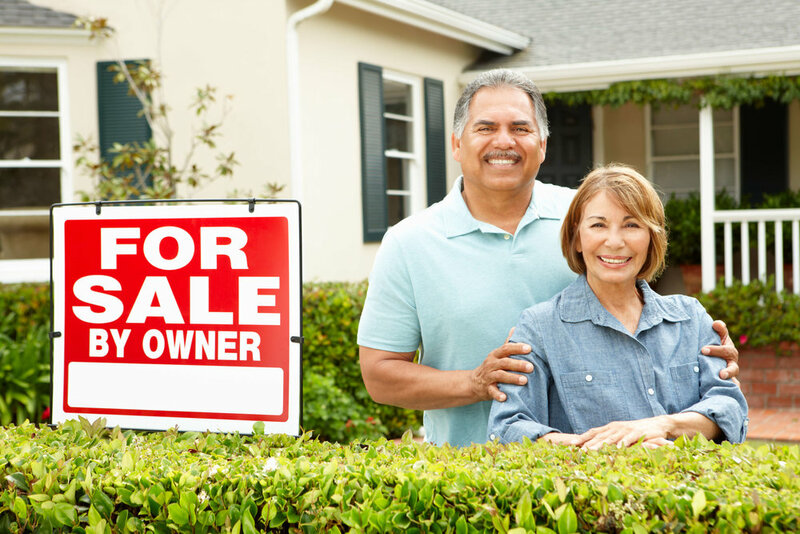 They get reduced stress, preserved credit, avoid foreclosure and can move on with life. 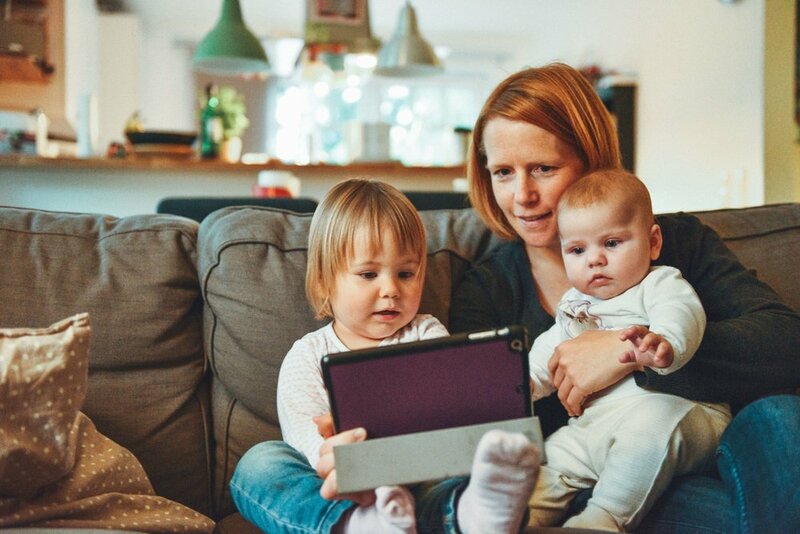 Whether they rent, rent-to-own, or buy from you, their lives are better because of it. Your church. Your charity. Your family. The more you earn, the more you can contribute. All while you are becoming a confident, skilled real estate investor. "Obtaining financing can be a challenge some times. In order to grow I knew I needed to find different ways to purchase properties. Barry's course covered a lot of information. He and his team lead you through the whole process. Their ongoing support after the class is finished continues to validate they really do want you to succeed. Barry and his team give you the action steps.